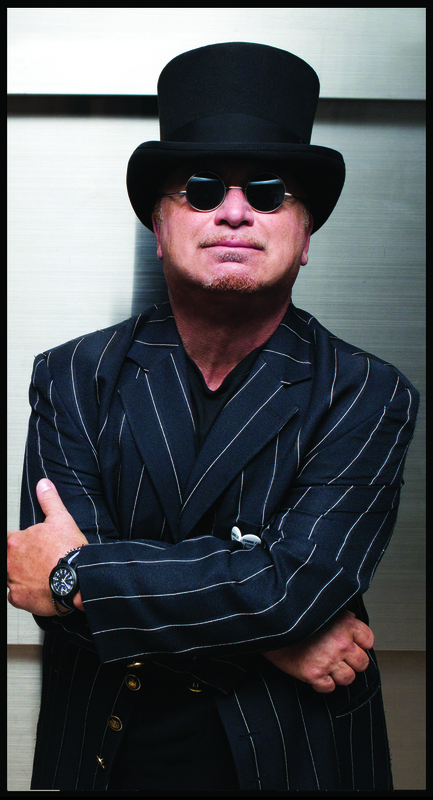 David Paich ... He's da man! a) an incredibly busy guy, b) a guy that rarely does interviews - This is his first full length interview in years! - c) is so much in demand and d) is a bloody fantastic guy to track down and talk to! This man has made so much music with so many artist's not to mention his own band, Toto, who gave us classic hit's like 'Hold The Line,' 'Rosanna,' 'Africa,' 'Stranger in Town' and so many more, but all of these great tracks, were all part of some killer albums too. Sadly with the success, there has also been tradegy and sadness through various illnesses, but also the band seemed to have had to travel to Europe more often than not, to feel appreciated. I do hope that this interview will possibly evoke some great memories in many old fans, who maybe got lost along the way, but are ready to listen some more to some serious talented, if not some of the greatest musicians in the world and I mean that! My good friend and former work mate, LeeAnn Hoffman, for helping with the mammoth task of transposing the majority of this interview in her own time, thank you so much, you know exactly how time consuming this is! You're a star! Of course David's family both personal and the band (Toto), for letting David take the time out for the initial interview, as well as the back and forth with a few updates, corrections to my misunderstandings / mis-hearing, during the original phone call at the end of February this year - I kid you not, right David?! - and so much more. Cheers to you all, Simon Phillips too for his 'English edge' that gave David and I some laughs throughout. Finally, last but by no means least, to my wondeful, yet long suffering and very tolerant - sometimes! ;-) - wife Rhonda and of course my kids, Julia and Liam, for the many hours that 'Chambers of Rock' takes me away from them. 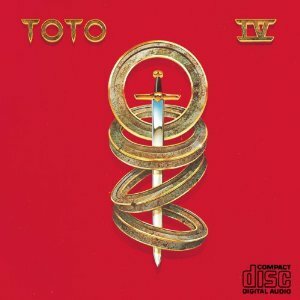 OK, so, here we go an interview with THE man behind the keys who alongside his 'brothers' in Toto, has been the sound you have all heard on so many albums and singles, from Toto and so much more! I caught David as he had been getting ready to do 'his' bit in this years Grammy's, primarily with the tribute to Paul McCartney this year, with 'Music Cares' and his life's contribution to music ... I think they should do one for David Paich myself! AW: Yes how you doing sir? David: How you doing Alun? I’m great man. AW: Thank you for taking the time to talk to me. We finally caught up! David: My pleasure, yeah it’s great to hook up here. Sorry, it’s been so crazy and I’ve been busy here doing this …, getting ready for “music cares” This is honoring Paul McCartney this year. So I’m helping put together the show for him and It’s a quite an extravaganza, you know? AW: I’m sure, I’m sure. It’s going to be a lot of fun though for you, right? AW: Well you know, it’s been pretty good so far. It’s not outstandingly, you know, not over the top or whatever, but it’s had about 110,000 hits in the last two years. So it’s…. David: Hey that’s great, that’s a good start. AW: It’s relatively good, you know? So yeah, it’s not too bad and I’ve just spoken to a few people this year. I’ve spoken Howard Leese a couple of weeks ago. This is Stuart …. AW: This is Stuart (Smith) and his contacts thing, you know? David: And I would be glad to chat with you for a few minutes here. AW: Yeah, I greatly appreciate it David and I also greatly appreciate you’re extremely busy. An extremely busy man, but thank you so much for your time and I’ve always been a big fan of Toto. AW: Or 'To - To' as we say in England as probably Stuart says, Right? David: That’s right. Now where are you? You’re in England right now, right? AW: I’m in Sterling Heights, Michigan. David: Is that near Detroit? David: I got ya, OK.
AW: I’m about an hour away from downtown Detroit. AW: Yeah, I moved over here in 2000 working in the automotive industry. The ol’ Rock Reviewing thing’s on the side. I’ve played in bands for years but you know it’s … This became a side line and now it’s taken over. David: Sure. What made you move to Detroit? David: Well that’s the place to be then. You know? AW: Yeah, Yeah so from that standpoint it was a good move AND I got to see most of the bands that never came to play England. David: I hope we played OK, you know? David: I have a lot of friends that I play with now, that are from Detroit, that were ex Stevie Wonder players. You know? David: I’m a big fan of the Detroit stand and Stevie Wonder, specifically Stevie Wonder and that whole thing that came out of Eight mile and that whole area right there. AW: Absolutely. Yeah, I mean it’s, it’s such a happening place. I mean for me to move from Portsmouth, England which is on the south coast there. David: Like a culture shock ...? David: Needless to say that’s like a culture shock, you know …? AW: Yeah, but no, I meant for me, it was almost like moving from Portsmouth to London in England. David: Now Portsmouth that’s like a …, that’s like a harbour town, right? AW: Right, It’s a big naval dockyard. AW: But many bands used to come through Portsmouth and I caught a lot shows there in Portsmouth and if I didn’t see them in Portsmouth, then I see them in Southampton or I’d go the other way, along to Brighton. I mean, they’re all coastal towns (Cities), you know? David: Right that’s about our speed … We do one day at Hammersmith. David: And that’s really about our speed. You know hopefully were gonna get back there this summer. We’ve just been doing, you know going out about six weeks a year. I’m playing now with our band. We are trying to re-brand ourselves. David: In the United States we switched management over to … We were looking for a new manager and so I called my friend Gene Simmons from Kiss and said “Gene will you manage us?” He laughed and said “no,” but he says that he recommended Doc McGhee who is with us right now so we are trying to re-brand ourselves. Here in the States, needless to say, we haven’t over saturated our market here. But you know with the way the TV is and everything like that, we do have a following here … We thought we’d give it a go here for the next two or three years, ‘cos our thirty-fifth anniversary is coming up in about a year and a half here, so we felt we’d just get back into it and see what the market is like here, you know? David: I’ll let you start. David: The interview …, the interview has officially started as of 3….2…1….now. Ok?! Alun: … And that’s the way it goes. And I know it can jump around anyway, but OK, no, no problem at all, no. I think it’s great that you guys will get to play the UK again. I know a lot of friends over there that love the band and I saw you on the ‘Seventh One’ tour back at Hammersmith in ‘88. David: Right, right. Well you know, we also did a full UK tour in ’96, actually opening for Tina Turner, playing a whole bunch of big outdoor shows. For me, the highlight was the last two nights were at Wembley Stadium, which was just a huge deal to us. AW: Wow! So how did that come about happening? I can’t believe I missed that? What was wrong with me?! David: Well, we got that gig, that tour, thanks to your fellow countryman Simon Phillips, as we were at a Prince gig and there happened to be someone there Simon knew, that basically got us the nod to get hooked up with Tina’s tour. It was great! AW: Wow, no kidding. Well, I still have fond memories of that great night in London in ’88 and it was a great album, I loved it. David: Well thanks, thanks very much. AW: But, How’s he doing himself? David: He’s kinda been going downhill for the last three years here ‘cos it’s a very slow degenerative process. David: But again Mike mentally is fantastic and if you talk to him his spirits are up and he’s … He’s great and he’s like the old Mike Porcaro except that he’s disabled, he’s in a wheelchair and can’t move … You know? Just a heart breaking drag, you know what I mean? David: To have a guy you grew up with, a bass player like this, that has this affliction you know what I mean? Which is one of the reasons we’re trying to get out there and make people more aware of ALS (Amyotrophic lateral sclerosis) and to try and raise money here and give his family a little comfort zone here, ‘cos we’re not doctors, we can’t cure what he has but we can help his family a little bit … But his spirits are good, but He’s got a lovely wife and she is surrounded by a wonderful family. There’s like an Italian dinner, like every Thursday night over at his house and Emil Richards and all these Italians you know? A get together and they like have an Italian dinner like you see on TV. Seriously, that getting together with friends and family is just so precious, it really is. It kinda raises his spirits and he’s a real trooper there you know? But it’s a sad situation and I pray that he’ll be with us long enough for them to find a cure. AW: Yeah, absolutely I mean, that’s something else, it really is. David: It reminds me of like when The Faces had you know Ronnie Lane it’s that same kinda thing, you know, where you can’t do anything about it but it’s like before and Mike doesn’t like to be … Doesn’t want to be a poster boy for us. David: All that kind of stuff, but all Mike is trying to do is raise awareness on it. It’s sad when it’s such a key musician and a kind of a brother that we grew up with, when that happens, you know? It just makes you more aware of how, well it just shows and proves how mortal we all are. David: I will pass on the word that you asked about him. I’m sure they’ll like that and a just tell anybody there, that Mike is … His spirits are good, and hopefully they’ll find something to cure this soon, and sooner than later. 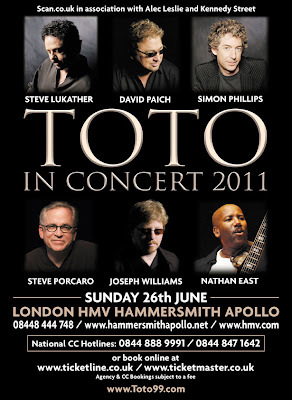 David: That he says hello to everybody out there, anybody that’s a Toto fan, Mike gives his love, you know? AW: Oh that’s great, that’s great … Oh yeah I’ll certainly share that. David: His lovely wife Cheryl who is an absolute angel, you know? Never complains … I just wish the world was full of people like her. You know Mike and Cherrie are a real true love story, they really are. AW: Ah … That’s fantastic, isn’t it? I mean that we’re thankful for our other halves we have, nine times out of ten, you know? David: I’m telling you … It’s just we take so much for granted. Thanks for asking. AW: No, no, no, absolutely not at all and I mean that. I kind of wondered if that was part of the reason why …, you kinda dropped out of the scene with Toto a little bit there. You know, it wasn’t quite the same band anymore for so many years. David: Why I dropped out of the scene? David: Well I had two things going on. Not only was it not the same band after that but I had a sister, I had a sister who passed last year. She had a very bad illness … She had to have a double lung transplant which was successful. David: And she was back in business and everything she had a pulmonary fibrosis. David: And she had it …It was very, very hard for her and so I was on her support team. I really wanted to stay home and kind of help with her family and everything for about four years there and then she had that operation. She was doing magnificently. She dropped weight and went out and got a job. It was just like, I couldn’t believe it … It was like a miracle. She was like…. David: She was like …, all of a sudden became 30 again. David: So the Christmas before last, that’s when she made her transition. David: I was recruiting Greg Phillinganes and Mike would’ve been in the band, but when Mike came down with ALS, it was just like, well it started to get like too many people were being recruited in here … That was a shocker and we had to get Lee (Leland) Sklar, ‘cos there aren’t very many people that we will bring in, and to keep Toto going here. David: We almost stopped when … We were gonna stop when Jeff passed. David: … And because we had all these buildings booked, it would have been very difficult to cancel. David: We thought we would do it to help support the album that he had written with us and everything and the whole tour. We are working on a dictionary right now that’s English to American. You know? AW: (Laughing) Oh that’s funny. David: I say, I’ll meet you down the toad … Down the frog … You know, all that kind of stuff!? AW: Barney Rubble. Trouble … Yeah. David: Yeah right … So Simon Phillips and I are going to make this English / American translation book, you know? AW: Ha ha! OK David …. David: … And he’s a great player and came to kind of our aid. David: He said, listen if you ever need someone I’m here and the other one is Nathan East, who we all grew up with too, you know? David: So there’s not very many depth in each field there. We only have one or two people that can come in and be honorary Toto members here. You know, so we’re … They just went out and did the best they can and a little bit and then I started getting antsy to play again. David: And then our manager said, ‘Well why don’t we … - You know were trying to do all this … - do a benefit in town for Mike? David: So the band decided instead of just doing the odd benefit show, we could go ahead and do a proper tour, that way we could help Mike out a whole lot more financially. It was a much more beneficial idea. 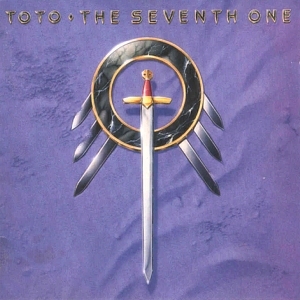 It goes without saying that Mike Porcaro was a key musician in Toto, no question. David: So that’s why we got back together here and with (Mike’s) brother Steve (Porcaro) from the original group and me, (Steve) Lukather and Joseph Williams who’s on the “Fahrenheit” album and Nathan (East) and a we got a pretty damn good band right now! I’m really excited about this new band. AW: Right, well that’s great, I mean everything …. David: I wish you could hear the new band. AW: Oh me too man ..! David: Hopefully we’ll be playing the States here in a couple key cities here in the next year and a half and you’ll be able to hear this band. This is a very good representation; it allows us to do music we weren’t able to do, because of having Joseph (Williams) in the band now. David: Joseph can sing everything plus we cover material from albums that we didn’t do before you know? David: That kind of thing you know? AW: And you know, (sighs) I do … I have periods in my life … Well no I don’t have periods of Toto that I really … (Laughs) Well I do …! Each album we did, we put our heart into …! 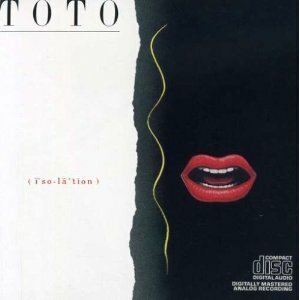 David: … And felt that that was just as valid a Toto, as any Toto around, you know? David: He was one of the singers … Jeff Porcaro we weren’t into spending too much time auditioning singers as you can tell. There you go, you know what I mean? We figured, hey we can handle the rest. David: That’s pretty much how that happened, but I like very much, a lot of material off that album and it was a fun tour, touring those days you know? AW: Can you remember that night? David: I don’t know if I was with my band in 2002 there. AW: I thought you were? David: I might not have been with them at that time. I think Jeff Babko who’s on the Jimmy Kimmel show right now, came to my rescue because my sister first got sick right there. David: I’m not sure I did the Pine Knob but it sounds so familiar because I’ve toured there with Boz Scaggs and Seals and Crofts and it’s always storming there, you know what I mean? David: It’s always storming in Pine Knob (Laughs) and I went to one, what was the last time we were at Pine Knob? AW: With The Tubes. 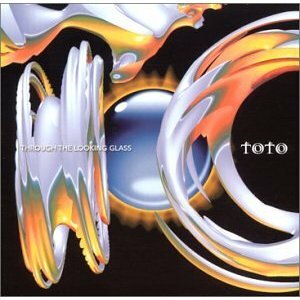 It was 2002 or 2003 with Toto because um, my wife got the tickets and she couldn’t make it. The Tubes pulled out...! David: Who was working at Pine Knob there he took me to see Pink. David: … And I went to see them with … Me and James Ingram went to see Pink. David: I pretty much remember that, yeah. David: Oh right, that’s right. AW: It was a good night and basically, I mean, you had the stage to yourselves. David: There weren’t too many people there. David: It was still light out or something like that. David: And then it started getting stormy or whatever. David: I like Detroit. Detroit and Pine Knob, I have a place in my heart for Detroit and Pine Knob, like I said, because we started there with Boz Scaggs and Seals and Crofts. I even think I worked there with Sonny and Cher when I got out of high school. 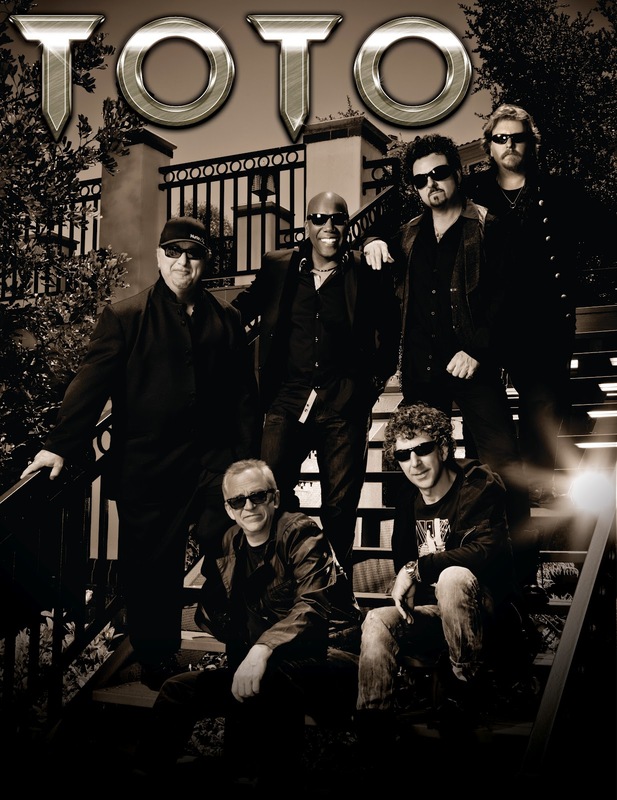 That was the inception of our Toto band when me and Jeff and David Hungate performed, that’s when we all first got together, the three of us, was out of high school and were touring with them when they were very big. You know? David: So that was back in the late, middle 70’s. You know what I mean? AW: Well I hit the big five O myself this year. So there you go! David: You did? Well congratulations it’s all…. David: It’s all up hill now you know? (Laughs) No you’re not there yet, we are still in our fifties, me and you, so that’s a good thing you know? I’m personally, I’m preparing myself for the …, all that other stuff that comes you know? David: Anyway if I’m still playing on stage rocking and rolling and if Mick (Jagger) and Bruce Springsteen are still out there, it’s ok to rock! David: If you can still do it. AW: Ok, yeah, so I mean we were talking about the live stuff and everything and talking about, obviously you getting the band back together again to do these shows for Mike and of course it got to something bigger and … I mean I know that I think over the years it’s not something you guys really were hidden away from, from speaking about, but it’s, it’s been a little disappointing for you over here in the States. Hasn’t it … And Europe’s been a bit more open arms for you when you’re touring. David: We were more like Genesis. David: And staging and stuff and that required money and we were getting great offers from Japan and Europe. David: They were throwing money at us! AW: It wasn’t happening, right? David: It was so big over there and you always have to start, kinda from scratch at the bottom again here. We didn’t want to. David: … Started changing precedents, instead of keeping the same one …. And the whole business changed there. So we just stayed out, kind of …, in the United States here, playing. David: It’s been a kind of an uphill struggle in the United States here. Editor's Note: Totally undeserved if you ask me too! David: And we miss it, because we know we have fans here. David: That’s like us, we’ve always wanted to come back here which is why I think that’s why we’re giving it some second thought in trying to hit it this year. We’re probably gonna end up playing the next jazz festival down in New Orleans next year. David: And doing some different … We’re gonna play a day of rock! David: …. For one reason or another because I wasn’t touring and we’re going through some catharsis in our band here you know? David: Hopefully we’ll get back in here and with … If we can make, like I said some roads …. AW: Some promo work, right? David: Branding power! Get a little more branding power right here you can get ubiquity, get right back up again, you know? Make a guest appearance on there. OK folks, at this point I'm wrapping up Part 1 of this very lengthy interview, Part 2 soon to follow in the next few days! This took a lot of editing and formatting, but I think you'll all agree, it's worth the wait! Thanks for sticking with me here folks! My aim here at 'Chambers ...,' is to try and bring a good mix of classic and hard yet melodic rock to fans of the music' attention. I have many friends that were out of touch with the music scene and when they get back in touch with me, I tell them about the site and so many of them have kindly thanked me for sharing what I do, especially with bringing a little history on each artist, as I do it. Hope you feel the same way too. Remember to keep up with David's and Toto's activities.